Birst, an Infor company, is the only enterprise business intelligence platform that connects together the entire organization through a network of interwoven virtualized BI instances on–top a shared common analytical fabric. Birst enterprise BI delivers the speed, self–service, and agility front–line business workers demand, and the scale, security, and control to meet rigorous corporate data standards. Birst delivers all of this and much more with low TCO via public or private cloud configurations. Provide powerful embedded BI access to more of your users on home pages tailored specifically for their roles, priorities and business domains. Infor Analytics offers robust pre-packaged analytics by industry and domain. 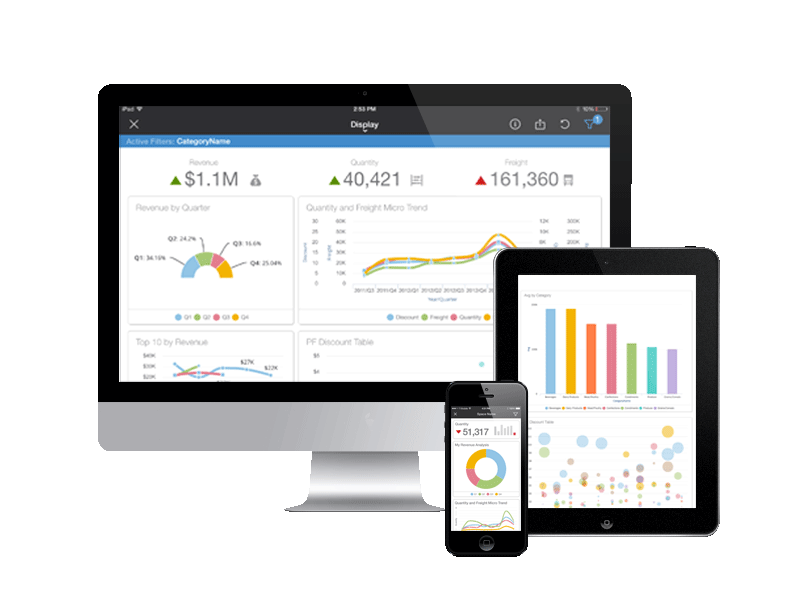 High-value industry and business-standard KPIs, configurable dashboards, a plethora of pre-built BI widgets and reports. Browse and analyze multidimensional data using a pre-defined set of chart templates or explore your data using ad-hoc analysis. Birst demo spotlight in a supply chain environment. Connect with our ERP expert who will understand your ERP requirements or the challenges you face with your current implementation and provide you with the best strategy forward. Understand our solutions better with live demos.